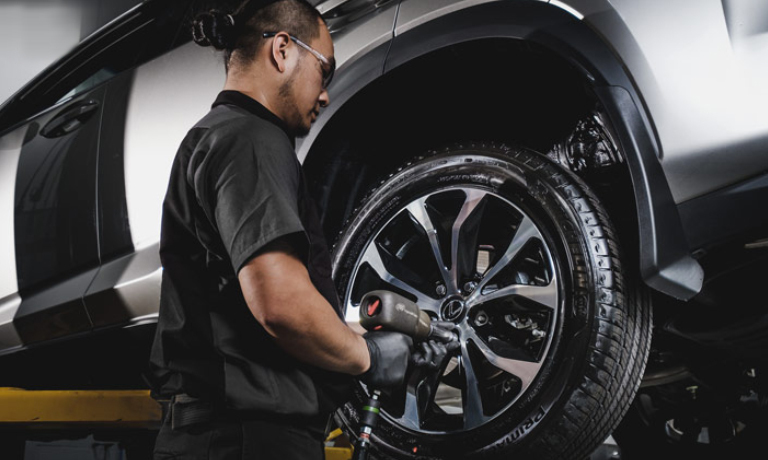 Northwest Lexus offers tires specifically selected to optimize the performance of your Lexus vehicle. Installed by a Lexus Tire Technician for added peace-of-mind. Now with our Tire Price Match Promise available you can always find the right tire at the right price. Here’s how it works. We’ll match the advertised price – including Canadian Internet quotes – on tires from any of the 15 top tire brands sold by Northwest Lexus*. Even if you purchase eligible tires from a participating dealer, only to find them advertised for a lower price, you’ll be reimbursed the difference. Some conditions apply*. Contact your Northwest Lexus Tire Centre today. * Should you find a lower Canadian advertised price or Canadian internet quote on tires within thirty (30) days before or after the purchase of qualifying tires from a participating Canadian Lexus Dealer, present the Lexus dealer where you purchased or intend to purchase qualifying tires with proof of the Canadian advertised price or Canadian internet quote. They will verify the price and that the item is in stock and available for immediate sale and delivery, and then match the lower price. Canadian advertised or Canadian internet quotes are eligible from local tire retailers only within an 80km radius of your dealership’s location. “Price Match Promise” does not apply to advertising errors or misprints, Boxing Day prices, special educational prices, restricted offers, mail order offers, rebates, coupons, premiums, free or bonus offers, limited or minimum quantity or limited time offers, close-outs, liquidations, clearances, and financing offers. Offer does not apply to advertised prices or internet quotes from outside Canada, or handwritten or verbal estimates/quotes. Offer does include Costco quotes. Subject to stock availability. Advertised item must be an in-stock brand sold by the Lexus Tire Centre and be the same size, model, sidewall, speed and load rating. Qualifying tires must be purchased and installed at a participating Lexus dealer in Canada. Price Match Promise does not apply to costs associated with labour, valve stems, mounting/balancing, disposal fees and taxes. Offer valid from January 1, 2018 to December 31, 2018. Offer valid on the following tire brands: MICHELIN, BFGOODRICH, UNIROYAL, KELLY, BRIDGESTONE, FIRESTONE, GOODYEAR, DUNLOP, CONTINENTAL, GISLAVED, GENERAL, PIRELLI, YOKOHAMA, TOYO AND HANKOOK. Offer subject to change or cancellation without notice.